Join us at Baur’s as we step back in time to listen to the nostalgic sounds of the Golden Age with Davina & The Vagabonds. Their shows are filled with New Orleans charm, Memphis soul swagger, dark theatrical moments that evoke Kurt Weill, and tender gospel passages. 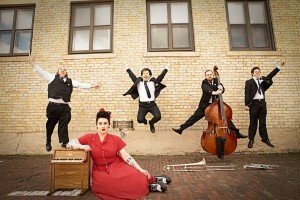 Music Appreciation Society is excited to have them for their first Denver appearance and invite you, your family, and friends to experience a fresh spin on an old sound with Davina & The Vagabonds. 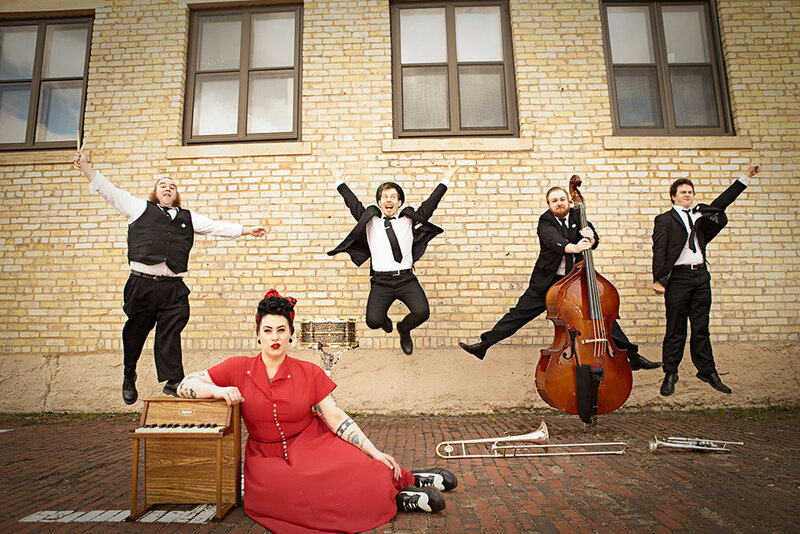 Davina Sowers and the Vagabonds have created a stir on the national music scene with their high-energy live shows, level A musicianship, sharp-dressed professionalism, and Sowers’ commanding stage presence. Davina’s voice and stage presence defy category in a different way. Davina has been compared to Etta James, Amy Winehouse, Janis Joplin, Billie Holiday and Betty Boop, but comparisons don’t suffice: Sowers is a true original. With influences ranging from Fats Domino and the Preservation Hall Jazz Band to Aretha Franklin and Tom Waits, the band is converting audiences one show at a time, from Vancouver to Miami and across Europe. In 2011 Davina released her first full length, all original album Black Cloud . It was named one of the 10 best releases of the year by the Minneapolis Star & Tribune and awarded 4 ½ stars from Downbeat Magazine. Their next release in 2014, Sunshine, hit number 13 in the Billboard Blues Chart and led them to be a musical feature on the hit BBC show, Later with Jools Holland. Make this Sunday a special evening out with the jazzy and blues sounds of Davina & The Vagabonds. Their performance will capture your imagination and leave you wanting more. Come early for dinner and enjoy what is sure to be a spectacular show!